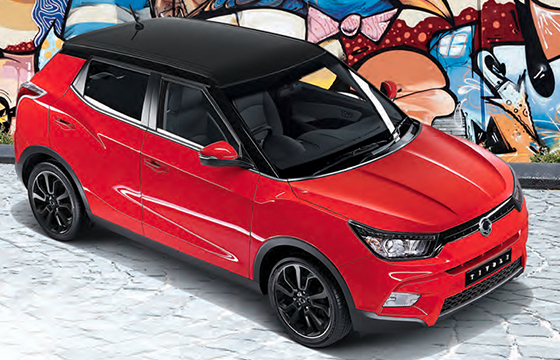 Whether you’re driving around Auckland or headed out on an adventure, the Tivoli from SsangYong is a natural choice. As a compact SUV, it’s manoeuvrable enough to handle city streets with ease--and its 167 mm minimum clearance make it great for metal roads, as well. You’re sure to love its sleek, futuristic design with flowing lines and standard 16-inch wheels (with available 18-inch wheels). The modern feel is further enhanced by LED daytime running lamps that are as attractive as they are functional. To make the Tivoli even cooler, add available features like a rear spoiler, factory tinted glass, and two-tone lower mouldings. At the heart of the SsangYong Tivoli is a 1.6-litre e-XGi160 petrol engine that generates plenty of power: 94.1 kilowatts, to be precise, as well as 160 newton metres of torque. 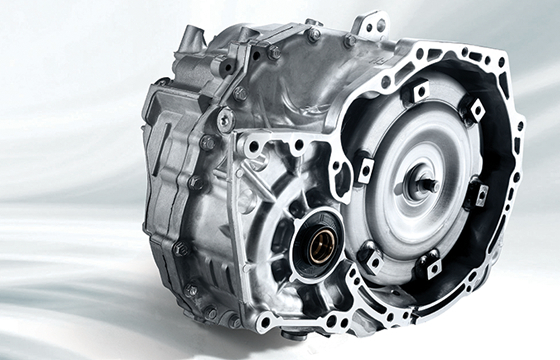 You get a choice between a manual six-speed transmission and an automatic six-speed transmission, so you can easily tailor the Tivoli to your driving preferences. Not only is the Tivoli powerful: it’s a pleasure to drive, as well. MacPherson strut front and torsion-beam rear suspension give the SsangYong Tivoli great handling, and the electric power steering makes it even better. SsangYong vehicles are designed to keep you and your passengers safe, and the Tivoli shows just how seriously we take this responsibility. 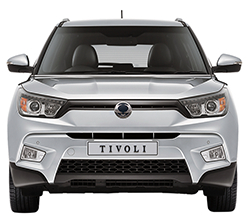 The Tivoli received a 5-star safety rating from the Korean Car Assessment Program, so you can be sure you’re driving only the best. If you’re in an accident, you’ll be protected by a reinforced body structure, door impact beams, air bags, and more. Of course, accidents are best avoided, so the Tivoli comes standard with features like an Electronic Stability Programme, which combines hydraulic brake assist, hill start assist, and active roll-over protection. 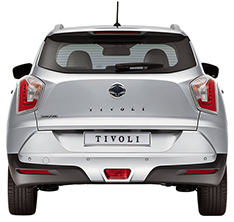 The top-of-the-line Tivoli LTD gives you even more safety features, including front and rear parking sensors and front fog lamps. The Tivoli may be a compact SUV, but the interior feels anything but small! It’s got plenty of room for drivers and passengers alike to spread out and enjoy the ride--and the soft-touch beige and black interior adds a classy look. 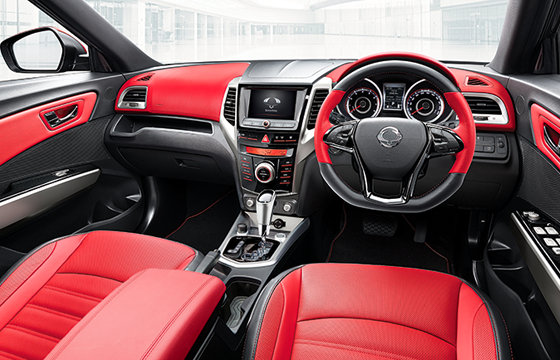 It’s easy to stay comfortable with air conditioning and a leather-trimmed steering wheel. 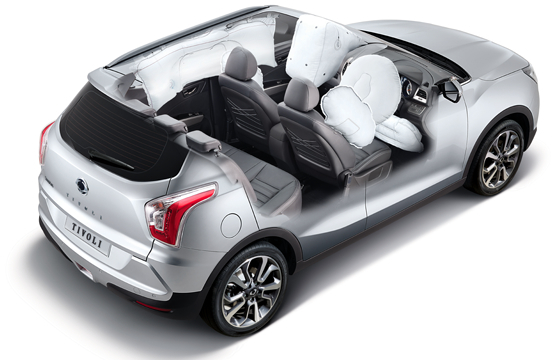 The Tivoli also lets you configure the interior for greater convenience with its 60:40-split folding rear seat. Keep them up for maximum passenger space, or fold them down to create more room for cargo. The cutting-edge technology in the Tivoli is sure to impress. 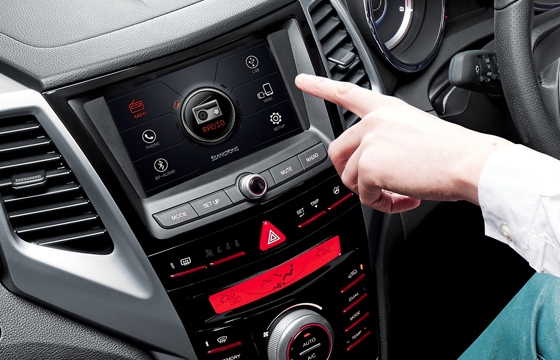 The available 7-inch high-resolution touchscreen is cutting-edge, with features like a rearview camera and audio streaming capabilities. Even if you choose the standard 2-din audio system, you’ll find that the MP3 and smartphone connector make it easy to enjoy the ride--and steering-wheel-mounted controls let you take charge of your audio without having to take your eyes off the road. 12v DC power outlets are located at the front of the cabin, so you can keep your devices charged and ready to go.